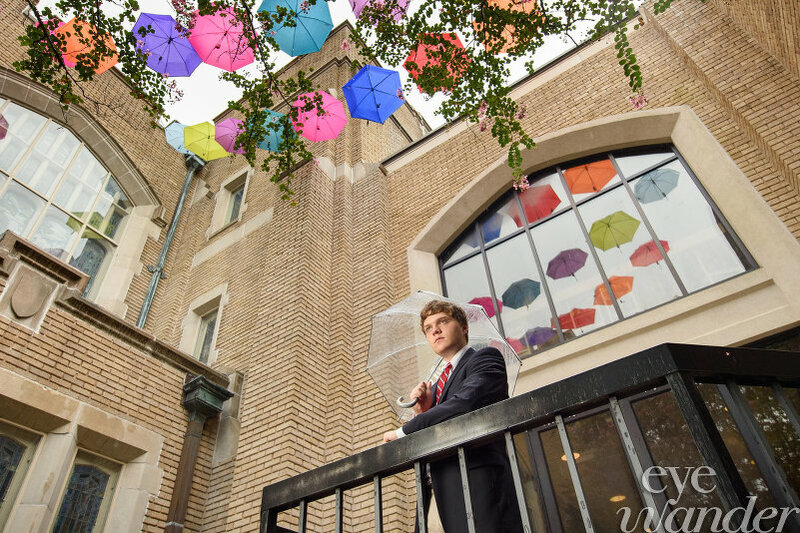 We had such a colorful time photographing this senior from University High School, John Carleton, at his amazing art installation in downtown Baton Rouge, outside of First United Methodist Church. 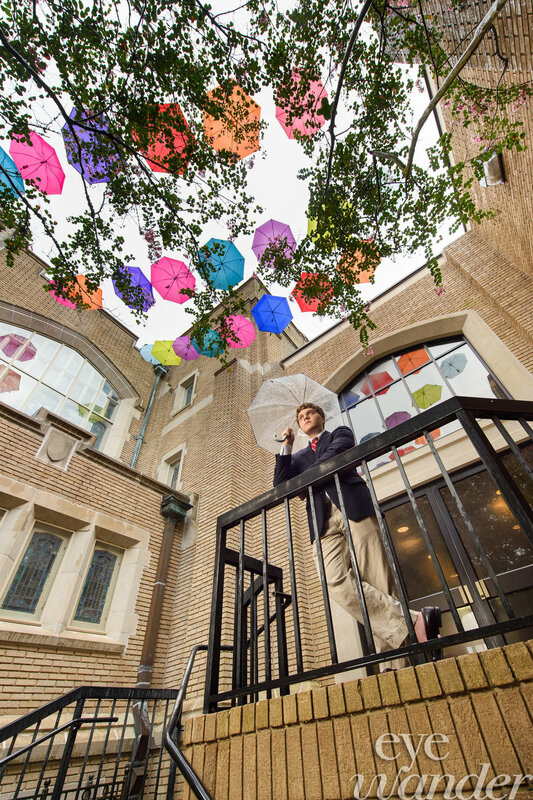 The bright umbrellas and the stained glass in the church made for a unique background. 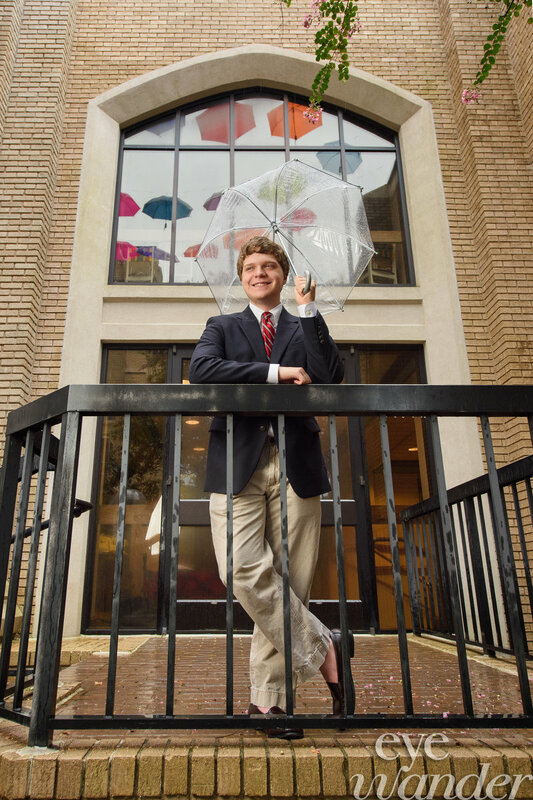 Ironically, it was raining the day of the shoot so we happened to need another umbrella! 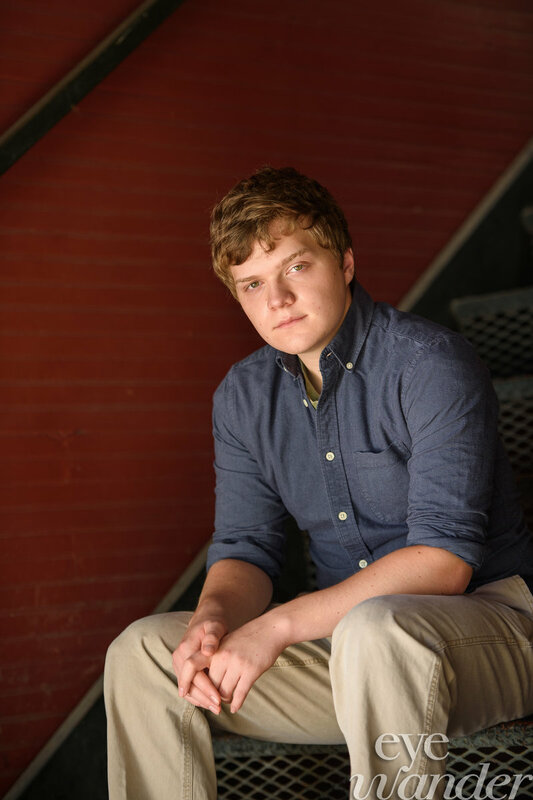 Senior photography is one of our favorite things to shoot because each shoot is personalized by the senior and their interests.